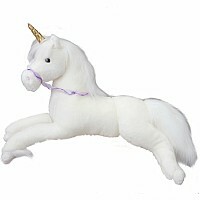 27" long Abracadabra the stuffed white Unicorn is a best seller! 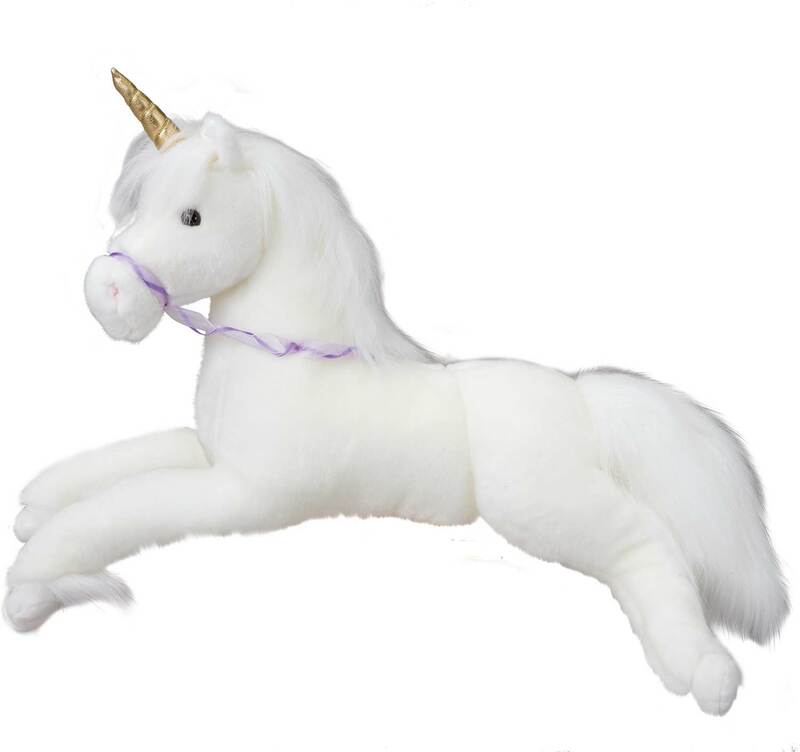 Ultra soft white plush with magical purple and sheer ribbon rein and shimmering golden horn. Perfect for playtime and cuddling!